Way back when everyone thought Chris Brown and Rihanna were going to survive round 2 of their on again off again relationship, the couple recorded a slew of lovey dovey tracks together. Today the L.A Leakers got their hands on and released one of those tracks “Put It Up” that will surely make Chrihanna fans everywhere take a trip down memory lane. Karrueche must’ve seen all the social media jokes about her needing to phone Iyanla Vanzant because the model is for sure going to appear on Iyanla: Fix My Life! In a short clip debuted tonight, the exclusive taped interview promises to spill all of Chris Brown’s tea as Karrueche will be talking about Breezy’s relentless cheating and their tumultuous relationship that saw her in a neverending break-up to makeup cycle. And you bet the interview was recent because Kae will also be dishing on the straw that broke the camel’s back — finding out Chris had a secret nine-month-old baby. The episode will air next Saturday at 8pm on OWN. 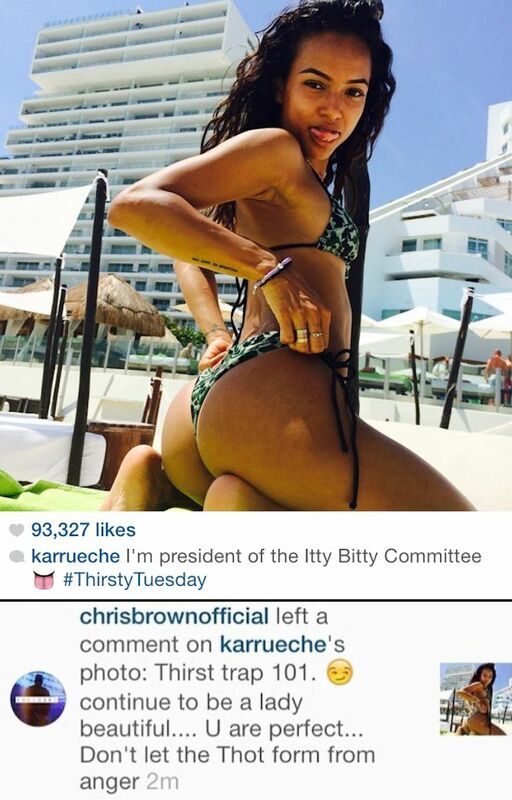 Meanwhile, after finally dumping and ridding herself of Chris, Karrueche is currently having fun with BFF Christina Milian in Cancun, Mexico where she’s trying to enjoy life and put these humiliating past two weeks behind her. Too bad Chris has to kill her vibe. Looks like the camel’s back has finally broken. Karrueche Tran took to Twitter on Wednesday morning to send a message of farewell to her on-again, off-again boyfriend Chris Brown. 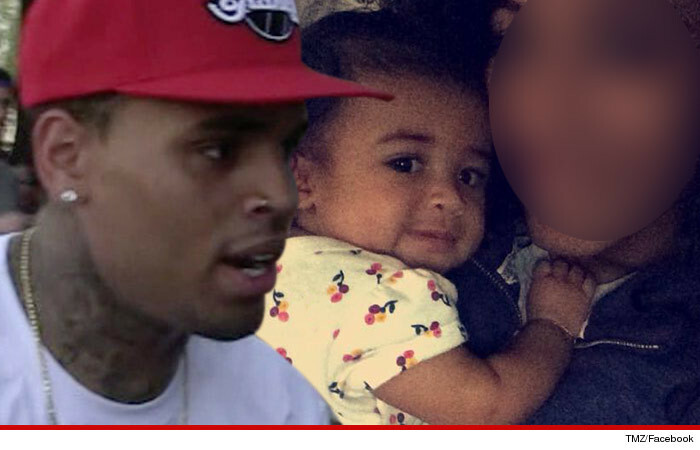 Chris Brown Father of 9-Month Old Baby? Wowzers! According to TMZ, Chris Brown is the proud father of a 9-month-old baby girl. The baby’s mother is a 31-year-old former model named Nia, who we’re told has known Chris for several years. Sources connected to both Nia and Chris tell us they are on very good terms, however they’re not together romantically. We’re told 25-year-old Chris is happy about being a father. It does not appear there is a formal child support order in place, and we do not know the nature of any informal terms of support.